To remove the burners from an electric stove, hold the exterior end of the burner coil far from the socket where the electric burner is plugged, and lift the coil slightly above the drip pan. Slowly pull away from the socket, and move the coil carefully until it is released. Ensure that the stove’s burners are turned off and fully cooled. If there is a tripod beneath the burner, remove it after releasing the coil. Grasp and lift the most distant edge of the drip pan from the socket to clean it. 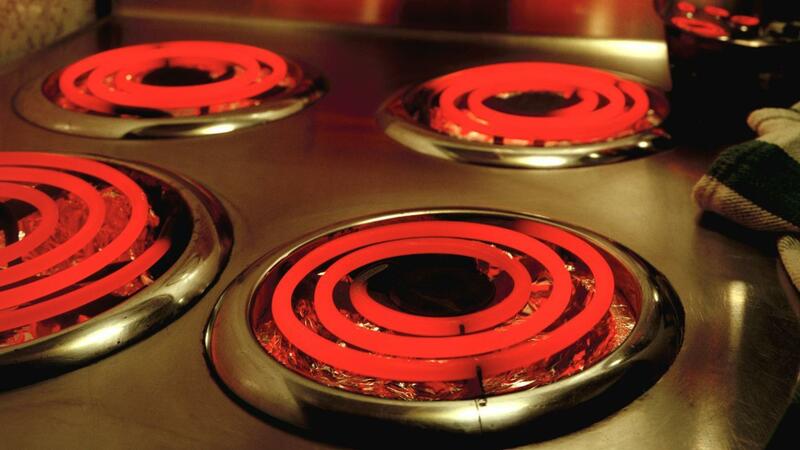 Burnt food debris tend to accumulate on drip pans located beneath electric burners. Use cleaning products on the drip pans or immerse them in water to get rid of crusty food debris. Use abrasive cleaners and brushes to clean stainless-steel drip pans, but never use abrasive cleaners when cleaning ceramic or porcelain-coated pans. Once the cleaning is done, put the drip pan and tripod back to their original positions, and plug the electric burner to the socket. If your purpose for removing a burner is to replace it, measure the defective burner to determine its exact size, make and model. Electric ranges typically have 6- or 8-inch burners. After removing the old burner, insert the two-pronged part of the new burner into the burner socket. Test the burner to check if it functions properly. How Do You Repair a Gas Stove With an Electric Oven? Are Gas Stove-Top Burners Removable?